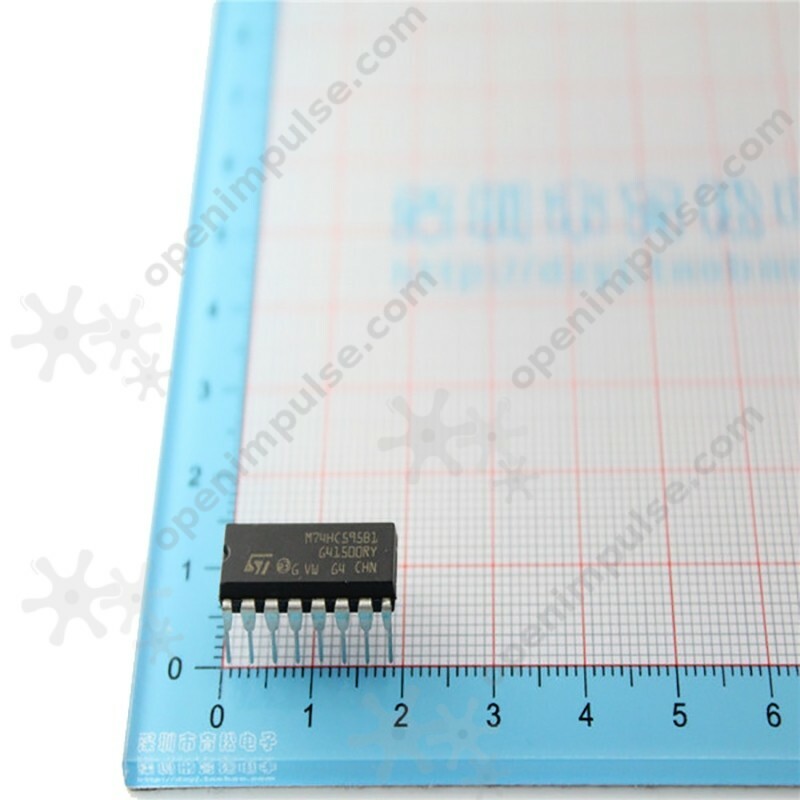 This 74HC595 shift register (DPI-16) is useful for conversion of serial transmission to parallel transmission. This 74HC595 shift register (DPI-16) is useful for conversion of serial transmission to parallel transmission. This is an integrated circuit comprising a shift register with which you can transform the information transferred via the serial interface to parallel interface. For example, you can use it if you want to control a large number of LEDs, having only a small number of pins on the microcontroller or Arduino. More information about the operating characteristics can be found in the attached datasheet.